Breitbart News Senior Editor-at-Large Peter Schweizer, author of the book Secret Empires: How the American Political Class Hides Corruption and Enriches Family and Friends, joined SiriusXM host Alex Marlow on Wednesday’s Breitbart News Daily to discuss the corruption rampant among America’s imperial political families, especially those bought off by an increasingly brazen and aggressive China. Schweizer warned that contrary to the basic assumption of “economic engagement,” which is that authoritarian regimes like China’s become more liberal and more aligned with the United States through commerce and cultural exchange, American political leaders are being profoundly influenced by shared economic interests with the Chinese and are coming to see certain matters Beijing’s way. He cited the family of Senate Majority Leader Mitch McConnell as a particularly troubling example. Schweizer noted that money from this arrangement has “flowed directly to Mitch McConnell himself,” including at least one gift in the $5 million to $25 million range from his in-laws, with the added expectation of a sizable inheritance when his father-in-law passes away. He recalled that McConnell was a China hawk when he first arrived in Congress decades ago and was one of the most outspoken voices criticizing China’s massacre of dissidents at Tiananmen Square. “Then he married Elaine Chao. Then in 1993, he took a trip with his father-in-law as a guest of the China State Shipbuilding Corporation, which is the largest military contractor in China. After that, when these economic ties were forged, his views let’s say began to ‘evolve,’” Schweizer said. In addition to muting his criticism of China’s human rights record, Schweizer said McConnell’s evolution included becoming far more open to trade with China and less critical of its monetary policies, going as far as threatening to use the legislative “nuclear option” to shut down consideration of a bill in 2010-2011 that would have taken action against China as a currency manipulator. The bill ended up passing 65-35, with McConnell one of the few Republicans voting against it. Schweizer declared himself unimpressed by arguments that McConnell still delivers the occasional tough speech on the Senate floor against China. “Politicians say a lot of things. I don’t judge them much by what they say. I judge them by what they do. 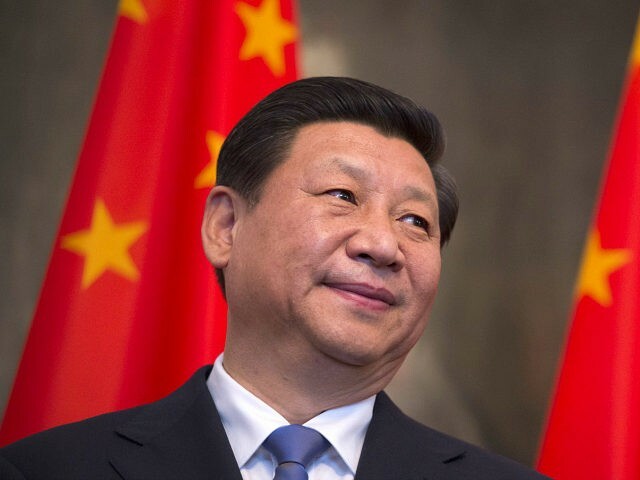 There’s just no question that when it came to Most Favored Nation trading status for China, when it’s come to dealing with currency manipulation, he has consistently fought every effort to deal with those issues. When it’s come to currency manipulation by Japan and other countries, he’s been far more hawkish. There’s just no way around it,” he said. “If the Chinese government became angry at Mitch McConnell, they could severely damage the family business. They could essentially shut it down. If they said, ‘We’re giving you no more contracts, we’re pulling away your crews, we’re not going to build you any more ships,’ the Foremost Group — which is the shipping company that the McConnell family has — it would essentially almost go out of business, if not completely go out of business,” he cautioned. “There is an unprecedented situation where you have a powerful family, the McConnells and the Chaos, and you have family members in that family serving on very, very sensitive corporate boards,” Schweizer added, referring back to the China State Shipbuilding Corporation and the appointment of McConnell’s sister-in-law Angela Chao to a board seat at the state-run Bank of China. “The Bank of China corporate board is made up of Chinese executives that have served in government. It is an arm of the Chinese government, used to advance the diplomacy of the government of China. To have family members on the boards of such sensitive entities, and to try to argue that that’s not going to have any influence on you is just laughable. There’s no other word for it. It’s laughable,” he said. “He went to school with some of them. Jiang Zemin, who for the longest time was the Chinese premier, was a classmate of his. And when Jiang Zemin would travel to the United States, he would have private meetings on a regular basis not just with James Chao, but with Mitch McConnell and Elaine Chao,” he said. “This is stuff that sounds like, you know, Bernie Sanders or Michael Moore. She’s going in Chinese-language publications and basically pooh-poohing the idea that Beijing poses any kind of threat, and anybody who says they pose a threat is essentially trying to find an enemy to serve domestic purposes,” he said. Schweizer confessed that he was “not a big fan of term limits 20 years ago,” but he came to favor them as he learned just how sophisticated political corruption in the United States has become. “It doesn’t need to be disclosed. They have figured out a way to get around these disclosure requirements. So in the case of Mitch McConnell — just think about this for a second — he’s got to disclose if somebody sends him a $250 contribution to a campaign, he’s got to disclose that person’s name. If he has stock and he gets $250 in dividends for owning General Electric stock, he has to disclose that. But if his family scores huge, I mean tens of millions of dollars contracts, if they do hundreds of millions of dollars of business with the Chinese government, it doesn’t need to be disclosed because of the way the rules are written,” he explained. “It would be great if we knew everything about these politicians like we should when we’re supposed to make educated choices and vote for them. The problem is they find ways around disclosure. So I think term limits are a great idea,” he concluded. “We are a government and should be a government governed by laws, not by men. Nobody is irreplaceable. There are wonderful qualified ordinary Americans who have extraordinary leadership skills. I think term limits are a very, very good idea, particularly in a climate where you’ve got people from both political parties that have figured out ways to skirt disclosure laws and to get rich off of government service,” he said. Schweizer said a recurring theme of Secret Empires is how the families of long-serving politicians become a transmission system for corrupting influences. “Another person I talk about in the book is Orrin Hatch, senator from Utah, who, if you look at what’s happened in his family, his son Scott Hatch basically got set up as a lobbyist. He has no background really in lobbying or in the industry at all. He became the go-to guy for the pharmaceutical industry because his father, through his committee assignments, played such a crucial role in determining policy. You see that repeated on both sides of the aisle,” he said. Schweizer worried that the allure of being able to set family and friends up with lucrative positions is too strong for most politicians to resist after they arrive inside the Beltway, no matter how idealistic they might have been on the outside — especially when, as his book title says, huge family empires can be kept almost entirely secret from the American public. The problem of corruption is even more urgent because, as Schweizer warned, the Chinese are making a determined effort to “buy off the political class.” Similar subversive efforts in Canada and Australia have already resulted in public warnings about Chinese influence and major scandals. “What they’ve basically zeroed in on is, you’re going to find people in politics who have powerful government positions that are going to convince themselves, or be easily convinced by you, to essentially soften their positions for the benefit of Beijing in exchange for setting up their family and making them rich,” he said. He pointed out that China’s system of influencing American politicians through their families is simply a mirror image of how business is done in China, where foreign business leaders understand that hiring the children of senior officials is the best way to gain access to the Chinese government. “Guess what? As far as the Chinese are concerned, it’s going to work the same way in Washington, DC,” he said, remarking on the bitter irony that U.S. law will come down hard on Americans who get caught purchasing influence with the Chinese government but has little to say when China’s state-controlled corporations hire the families of top American officials for the same reason. “It operates that way because the people who make the rules like these kinds of deals for their family members,” he charged. Schweizer described another set of scandalous deals chronicled in his book involving the families of Democratic heavy hitters John Kerry and Joe Biden. 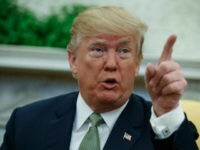 He said the deals were part of China’s effort to divert the Obama administration’s attention while it advanced its territorial claims in the South China Sea. “In December of 2013, as this whole issue in the South China Sea is brewing, as we’ve got all these issues on technology transfer and intellectual property theft involving China, in December of 2013 Vice President Joe Biden flies to Beijing to hash out these issues. On Air Force Two with him — drum roll, please! — is his son Hunter Biden,” he recalled. “They give him a billion dollars, they quickly make it a billion and a half dollars, and that is the first of three deals that are done in this period from 2013 to 2016 that involve the Bidens and the Kerrys,” he observed. “The other one is this offshore account called Rosemont Seneca Technology Partners. It’s an offshore fund that’s located in Bermuda. A Chinese government entity puts $38 million into that. The third deal is this entity called Rosemont Realty, which is owned by the Kerrys,” he said. “So you’ve got America’s chief diplomats at this time, Joe Biden and John Kerry, who are doing what? Their families are doing major business deals with the people they are supposed to be negotiating with. It’s a shocking, massive conflict of interest,” he contended. Schweizer said that the Biden family has attacked him and his book but have not denied the deals went down as he described. “What they say is that it had no effect on his decision-making. I mean, come on. How stupid do they think we are?” he scoffed. “We sit and we worry in our political system about a $10,000 political action committee contribution, or we make them disclose if they own $25,000 in General Electric stock — but Joe Biden is suggesting that his son scoring a billion-dollar deal from the Chinese government is going to have no influence on him whatsoever? I mean, give me a break. It’s ludicrous,” he said. “We have got to correct the ability for this to happen in an undisclosed way, or we are screwed when it comes to dealing with the Chinese because they will more than likely have plenty of opportunities to successfully buy off and forge these commercial relationships with American political elites. The amounts of money are just so eye-popping. The temptation is just so great. You’re going to have very few people that are going to be willing to resist it,” he warned. “It’s a win-win-win for China, and a lose-lose-lose for the United States,” Schweizer pronounced. Schweizer listed some formidable obstacles in the path of reform, such as the media’s general disinterest in pursuing complicated financial stories that could reflect badly on politicians they like, the difficulty of ratcheting up enough political pressure against the elite to make them abandon the lucrative system of family deals, and what he called the “globalization of corruption” — the inevitable weakening of national allegiances among ardent globalists.